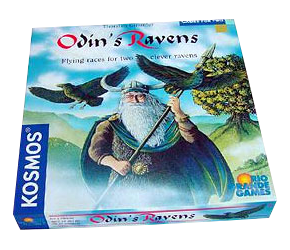 Each morning, Odin, the father of the Gods, sends his two ravens, Hugin and Mugin, out into the world to watch over the land. A clever little card game and a favourite with my girlfriend. One of those games where fortunes can drastically change from turn to turn due to a clever strategy and a bit of luck.